When you want your kitchen or bath remodeled, you want the best possible design and craftsmanship at a price you can afford. Tustin Plumbing, Heating & Air Conditioning provides you with top quality workmanship, and understands you are not happy until the work is completely and correctly done. Let our expert remodeling specialists help you find the right materials, colors, and designs for your kitchen or bathroom. We will work closely with you to make sure we fully understand what you expect from your remodeling job, and then help you create the kitchen or bathroom of your dreams. 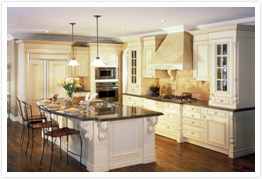 Let us bring our experience and expertise to your next kitchen or bathroom remodeling project.